Are you ready for another exciting giveaway? 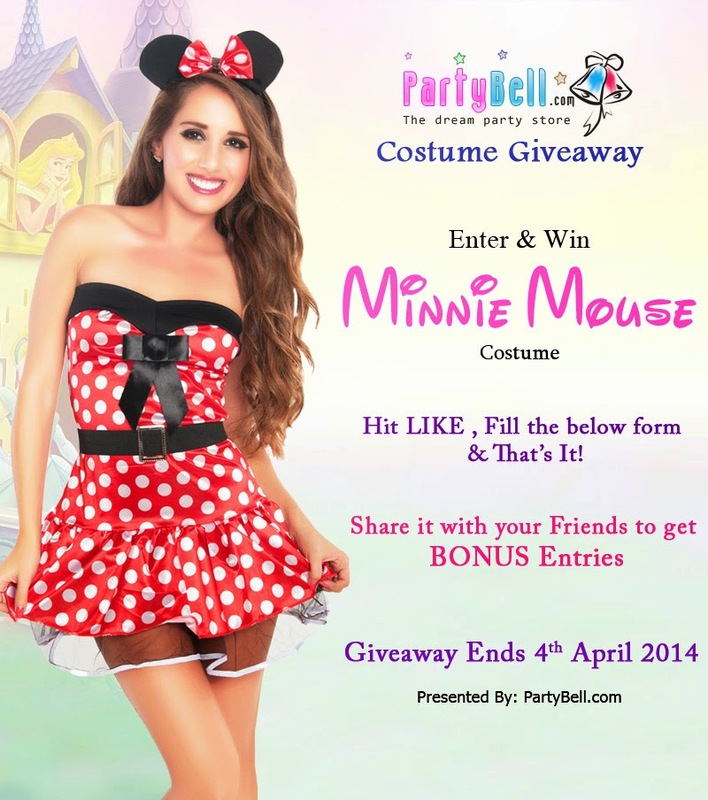 PartyBell brings to you an exciting Costume Giveaway. Get a chance to win a cute Minnie Mouse Costume worth $60. Follow few simple steps and this costume can be yours. Just LIKE PartyBell FaceBook FanPage, Fill in your Details and Share the Giveaway with your Friends and get 3 BONUS entries. The more you Share the Closer you get to winning.